The Dental Library, a branch library of The Univeristy of Hong Kong Libraries was established in 1981. 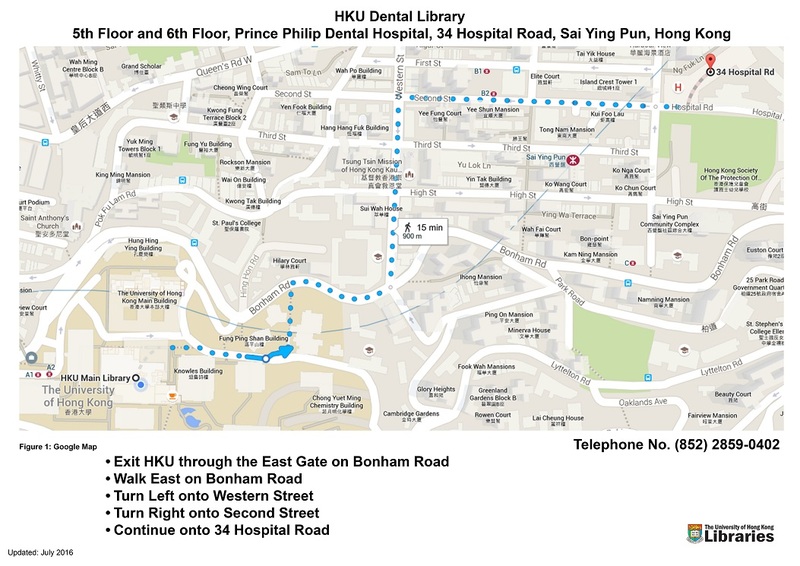 The Dental Library is the only library of its kind found in the HKSAR to provide study and research facilities for students and teaching staff of HKU's Faculty of Dentistry. The Library's collection and services are designed to support the Faculty's vision "To be Asia's leading faculty of dentistry" and to be responsive to the individual's information needs for teaching, learning, and research relating to oral healthcare services. The Dental Library, located on the 5th and 6th floors of the Prince Philip Dental Hospital, maintains up-to-date resources in oral health sciences and is dedicated to delivering information to the library users. The Dental Library encourages interaction with the teaching staff and students of the Faculty of Dentistry in order to optimize its services in collection development, reference enquiry and library user's education programs.